Coventry is known for its automotive heritage and to this day the automotive industry is still thriving in Coventry through the spectacular Automotive design course at Coventry University as well as the well known car manufacturer , Jaguar-Land Rover being situated just down the road and the fantastic Transport Museum in Coventry. With that said, it seems obvious that the best thing to do is celebrate this automotive history and what better way is there to do that than with a lot of beautiful cars spread around for people to see. Coventry Car day had about one hundred cars dotted around University square and around the new Coventry University student building, the Hub. It was organised by the university to show off old, classic and new cars in celebration of Coventry’s rich automotive heritage. It was a great day out for all and as well as just looking at the cars, there were a couple of talks which could be attended for the car enthusiasts. Back to the cars though; there were all sorts of great cars through the ages. 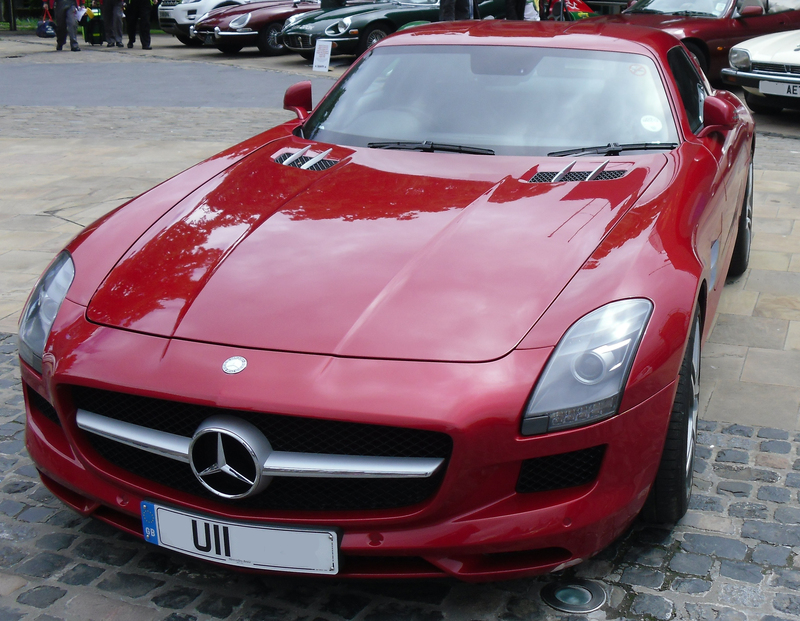 Coming down the Cathedral steps and stairlifts, you could instantly spot the wonderful Mercedes SLS AMG showcased in Le Mans red. A car known for it’s brilliance and eccentric winged-doors. 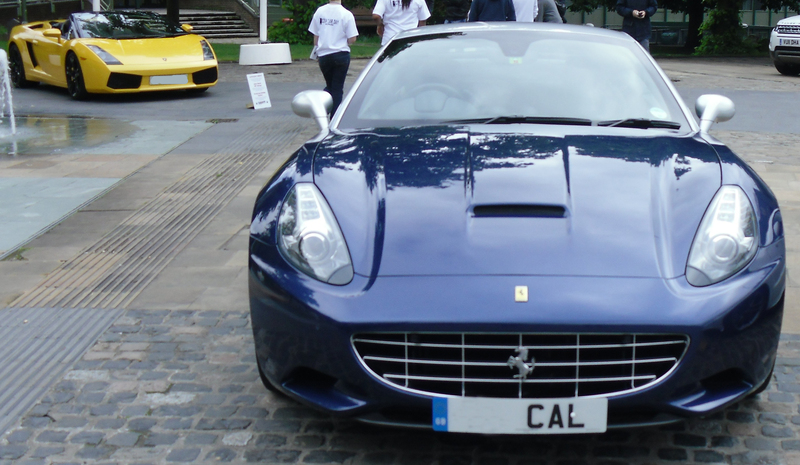 Around the same area, you could spot a Lamborghini Gallardo spyder and a stunning blue Ferrari California. It wasn’t all super cars though, just behind this incredible display of cars was a collection of Peugeot hatchbacks leading up to the much anticipated Peugeot 208 hatchback. The brand new Peugeot was on show for all to see and to admire. This wasn’t the only brand-new car, though. 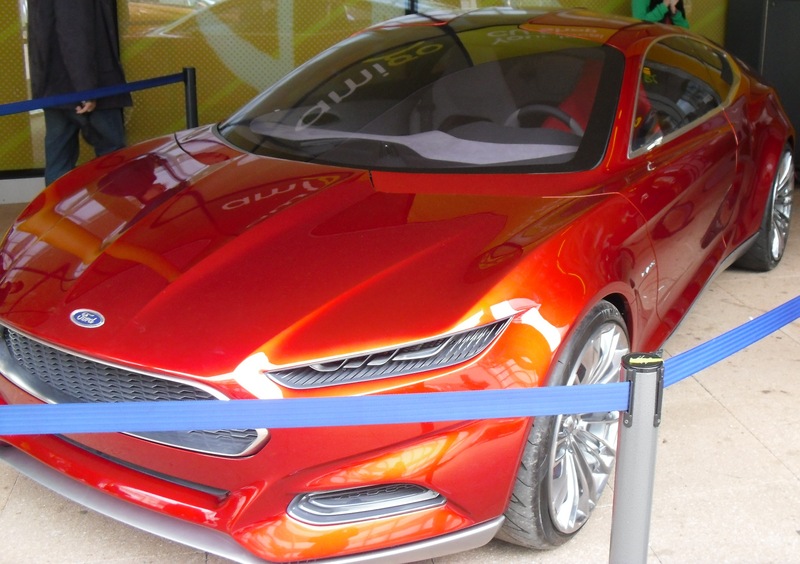 Ford really produced at the Car day with their new Ford Evos Concept. This new edgy Ford looks utterly brilliant and I can’t wait to see it on the roads, providing it makes it that far. The concept was gaining a lot of attention as people wanted to see what this magnificent looking car was. As expected, there were Jaguars spread throughout the display, from the age-old E-Type, to the new executive XJ. Towards the Herbert Art Gallery, there was a lovely collection of Triumphs, another Coventry based car-company, and everyone there was lucky enough to get a look under the bonnet of the TR5 ZQuiet. Down the steps, past the Hub, there were some old Reliant cars gathering some attention and a few people muttered how good-looking they actually are. 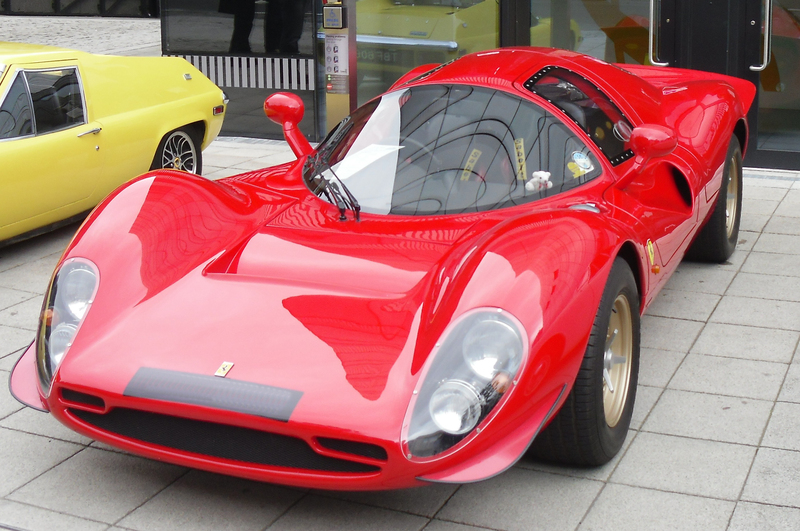 Keeping along the lines of looking good, around the front of the Hub, there was a great Ferrari P4 on display. It just looked incredible, something a true car fanatic can enjoy. Overall, Coventry Car Day was a great day out with a lot of beautiful cars certainly worthy of being on display.